Filing and suspending (or if you already filed for your retirement benefit, simply suspending) by this deadline will also give you the option to change your mind and take all your suspended benefits. If you are a) now between 66 and 70 or will turn 66 on or before April 30 and b) never married or were divorced before 10 years of marriage, you should also consider filing and suspending by or on this Friday. Doing so will still let you wait until 70 to collect your maximum retirement benefit. But it will give you the option of taking suspended benefits in a lump sum if, for example, you learn you have contracted a terminal disease. For those people, there is no obvious downside to filing and suspending, so getting this extra peace of mind is probably worth it. Not everyone should file and suspend. Widows, disabled workers and divorcees can potentially cause great damage to their retirement benefits by filing and suspending. If you aren’t sure what’s best, run expert software immediately, and if you decide that filing and suspending is your best move, you can file and suspend online as described in last week’s column. Joi – Santa Clarita, Calif.: I’ve read your book and column, and every time I think I get it, I read something about the new law that has my head spinning again about what my husband and I should do before April 29 — if we even have that option. Below, I reference your column, “12 secrets on how to maximize your Social Security benefits under the new law.” I turn 62 this year on April 16, and my husband turns 66 on May 10. We stand to receive about the same amount in Social Security benefits at full retirement age. My excess spousal benefit would not be more than my own full retirement benefit. My husband will be taking his retirement benefits when he reaches 66 this year. According to the fourth secret, it seems that I cannot take spousal benefits when I reach 66 in four years and let my own retirement benefit continue to accrue, because I turned 62 after Jan 1, 2016. But the fifth secret talks about grandfathering in and that suggests that I will be OK to file and suspend, because I will be 62 “by the end of the year.” I assume you mean 62 by the end of 2016. This was a bit confusing, and now I am not sure what to do again. Please help. ​Your husband is grandfathered in (he was 62 before Jan. 2, 2016), and thus, he is free to take just a spousal benefit between 66 and 70 while letting his own retirement benefit grow through age 70, but he can only do so starting in the month you file for your own retirement benefit. Now, if you file early, you will end up with a lower retirement benefit. On the other hand, given your four-year age gap, it may be best to have you file now, let your husband collect just a full spousal benefit for four years, have him take his retirement benefit at 70, have you suspend your retirement benefit when you reach full retirement age and then have you restart your retirement benefit at 70. Only expert software can tell if this option will beat the simple alternative of having you both wait until 70 to collect your retirement benefits. Anonymous – Houston, Texas: As April closes the loopholes, I am referring friends and family to claim their benefits and file for auxiliary benefits before the deadline on April 29. I have recommended your CD and e-book and of course your Making Sen$e column before they make arrangements with Social Security. Are those grandfathered in able to take loopholes after May 1? What can those who are working and just 62 years old do while healthy and still working? They are being told that they cannot file at 62 and be grandfathered in, because their income would exceed the $15,000. Can they start and stop or what? ​Larry Kotlikoff: Thanks for recommending our book, “Get What’s Yours — the Secrets to Maxing Out Your Social Security Benefits.” A new revised version will be out next week on May 3. ​I do want to caution readers that not everyone who can file and suspend or suspend (if they have already filed) by or on this Friday should do so. For example, someone who is divorced (after 10 years of marriage) will destroy their ability to take just a divorced spousal benefit between 66 and 70 if they file and suspend. Instead, they will receive just their excess spousal benefit, which could be small or zero. The same pertains to a widow(er) or potential widow(er). The minute they file for their retirement benefit, whether or not they suspend it, they are in what I call excess benefit hell in which they can no longer collect a widow(er)s benefit by itself and let their own retirement benefit grow through age 70. READ MORE: Do the recent changes in Social Security rules allow you to file and suspend? Bob – New Hope, Pa.: My wife is 66 and 10 months. I will be 66 on the Aug. 25, 2016. My wife just filed and suspended. This action has apparently triggered a letter to me from the Social Security Administration telling me that I may be eligible for benefits and therefore must apply now. It is my understanding that under the new law, as long as my wife has filed and suspended, I can file for spousal benefits when I turn 66, but that if I apply now it would be considered “deeming,” and I would lose the spousal benefit. Am I correct? Or do I also need to apply for spousal benefits prior to the end of April when I will still be 65? The second question relates to the date of application for spousal benefits. Is the earliest day I can apply my 66th birthday — that is, Aug. 25, 2016? ​Larry Kotlikoff: Social Security can take an application four months in advance from what I understand. If you go in tomorrow, you should not be deemed, which would be a true nightmare. You need to specify in the Remarks section of your application that you are restricting your application to spousal benefits and will file for your retirement benefit effective as of the day you turn 70. Beth – Wolcott, Conn.: The “new” rules for Social Security benefits have me a little confused. I will not reach full retirement age until September 2016. I would like to collect my spousal benefit at that time and not file for my own benefit until age 70. (My husband is 68 and filed and suspended at 66 and a half.) Is my original plan still doable? ​Larry Kotlikoff: Your original plan is fine. When you are within a few months of September, you should go into your local office and do as I just advised Bob in my answer above. Rick – Salt Lake City, Utah: Based on my reading of your Feb. 23, 2016 column, my wife should be able to receive spousal benefits. Here are the particulars: My date of birth is in April 1949; I have filed and suspended. My wife’s date of birth is in April 1953. Is this correct? 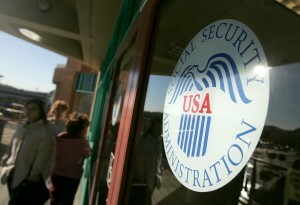 And has the Social Security Administration posted the correct information online? Larry Kotlikoff:​ Yes, this is correct. And Social Security seems finally to have posted correct information about the suspension deadline, although it is cryptic, and staff all over the country are still misinformed and telling people the wrong thing. Randy – Little Rock, Ark. : My date of birth is Oct. 15, 1953. My wife’s is Feb. 3, 1954. We’ve been married over 40 years. We had planned to use file and suspend, because my benefits are substantially more than hers. What can we do now? ​Larry Kotlikoff: Your wife is unable to collect a spousal benefit on her own starting at her full retirement age while waiting until 70 to collect her retirement benefit. Why? Because she became 62 after the deadline of Jan. 1, 2016. So if she files for her spousal benefit, she will be deemed to be also filing for her retirement benefit. In this case her spousal benefit will be transformed into her excess spousal benefit, which could be small or zero. Your best strategy may be to a) both wait until 70 to collect your retirement benefits or b) for your wife to take her retirement benefit when you reach 66 and have you take just your spousal benefit. Unlike your wife, you were over 62 on Jan. 2 and are free to collect just your spousal benefit between full retirement age and 70 while waiting until 70 to take your own retirement benefit. But your wife must be collecting her retirement benefit while you are collecting a spousal benefit off of her record. Under this latter strategy, if might be optimal for your wife to suspend her retirement benefit a year or two before age 70. Only truly detailed software, which does an exhaustive comparison of all options, can tell you what will maximize your combined lifetime benefits. Anonymous – Texas: I read your book last year, but now know I can’t use that strategy. My situation is that I started collecting my Social Security at age 62 and a half in May 2015. My husband is 64 and was going to collect a spousal on my benefit at this time — I believe he has to do that by April 30. He will then collect his own benefit, sometime between his full retirement age and 70. When he begins collecting his own, I will then apply for a spousal benefit on his benefit. I think this should work since we were both over 62 by end of year. Will this still work for us? Is there any chance things could change, and he wouldn’t be allowed to get his own benefit at full retirement age, because he would already be receiving benefits through mine? It’s scary to think they could change this. What is your opinion? ​Larry Kotlikoff: I hope your husband hasn’t done what you say he is going to do. If he does file for his spousal benefit right away, he is going to be deemed to be filing for his retirement benefit as well. In this case, he’ll just collect his reduced retirement benefit plus his excess spousal benefit, which could be small or zero. Your best strategy is surely to have your husband take just his spousal benefit, but only when he turns 66. When he is 70, you can suspend your retirement benefit. At that point you can apply for your excess spousal benefit, which may be small or zero. I can’t say for sure if this is optimal. It may be best for you to suspend your retirement benefit before he turns 70, which as a result will cut him off from spousal benefits, but will allow your benefit to grow. Software will tell you what’s best. Bobbi and Doug – Marin, Calif.: This suspended spousal benefit question is really confusing to me. I need to file before April 29, 2016. Thanks in advance for helping me figure out if my husband should apply for it. I have been collecting Social Security since age 64. My husband, Doug, turned 62 on July 1, 2015. I get approximately $2,000 a month. I believe he is eligible for this spousal benefit. The question on the table is: Can Doug file for his spousal benefit without filing for his own benefits, which would continue to increase? He will probably continue to work part time. Or if he files for his own benefit, suspends it and then takes his spousal benefit from me, will his own benefit still accrue? And if it doesn’t, is his spousal benefit greater than his own benefit if he files for it now? We think he would get about $1,000 to $1,200 a month. I believe the one thing that is certain is that either way, my benefits will not affected in any way. This is extra money available, which is why Congress closed it down — except for those grandfathered in before April 29, 2016, who were age 62 before Jan. 1, 2016. This is true in our case. Thanks so much for letting us know ASAP, so we can file it correctly before April 29! Also, what should we file for first? 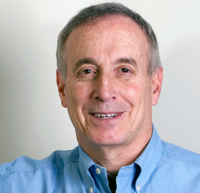 ​Larry Kotlikoff: Neither of you are affected by the April 29 deadline! Doug has to wait until he is 66 to be able to file just for his spousal benefit — if he wants to collect just his spousal benefit — and let his own retirement benefit grow to its maximum value at age 70. Doug can do this because he was 62 before Jan. 2. If Doug takes his spousal benefit now, he will be forced to take his retirement benefit as well. In this case his total payment will equal his reduced retirement benefit plus his reduced excess spousal benefit, which could be small or zero. Depending on your absolute and relative earnings, it could be best for you to suspend your retirement benefit at 66 and wait until 70 to restart it and have Doug take just his spousal benefit when you turn 70. Software is needed to decide what’s best. Left: The deadline to pursue the file and suspend strategy is April 29, 2016. Do you know what your retirement plans are? Photo by by Justin Sullivan/Getty Images.